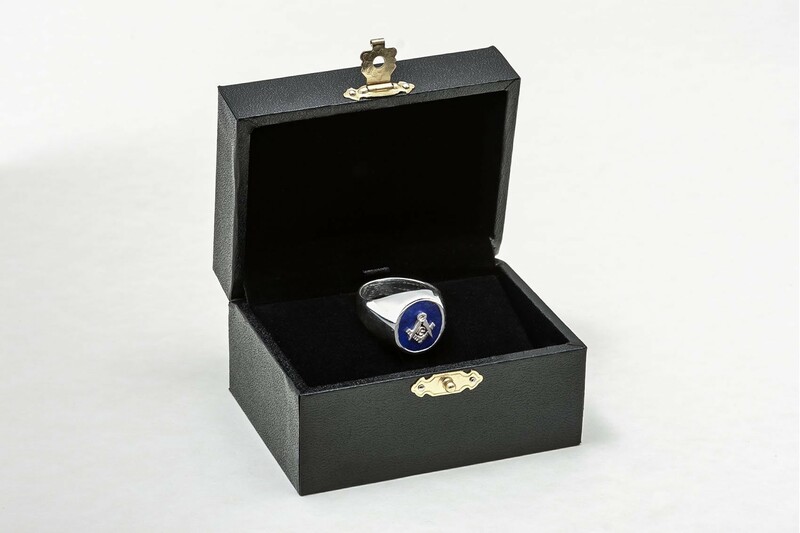 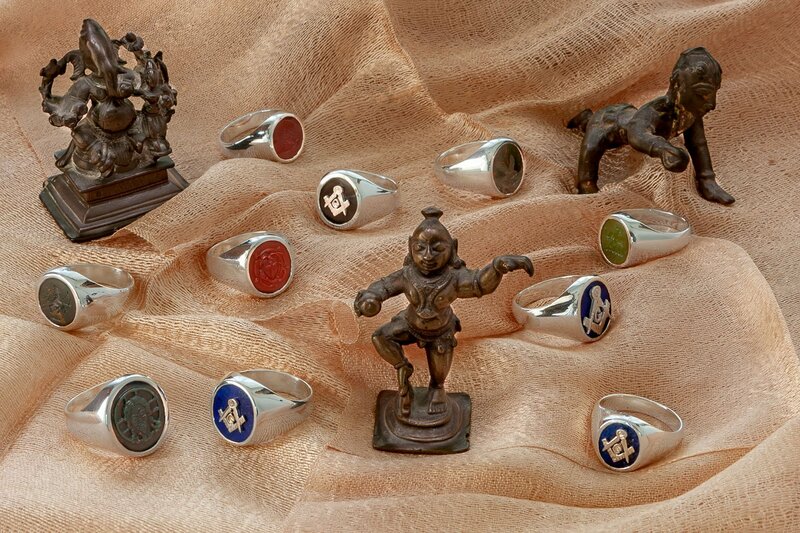 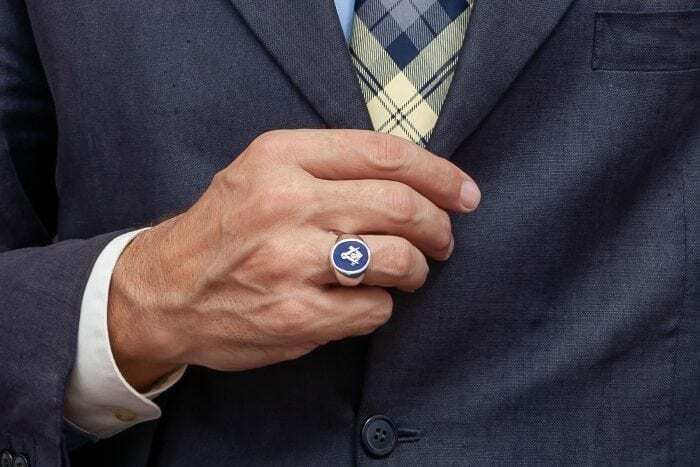 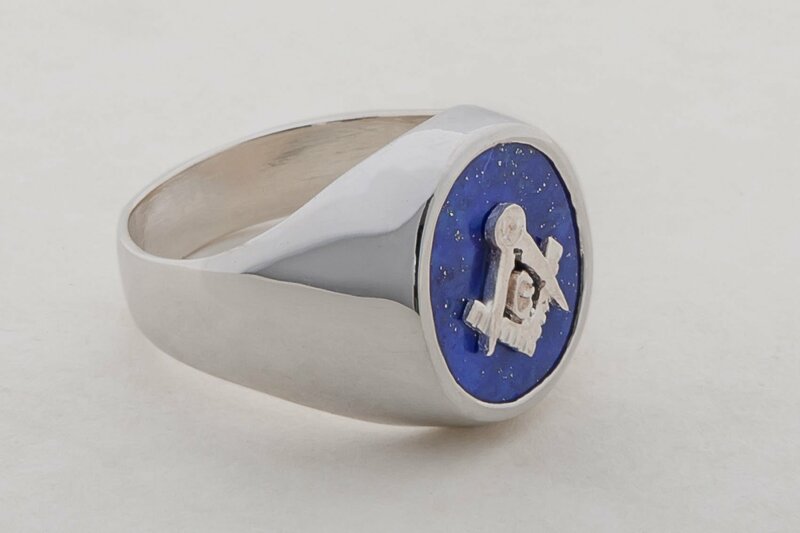 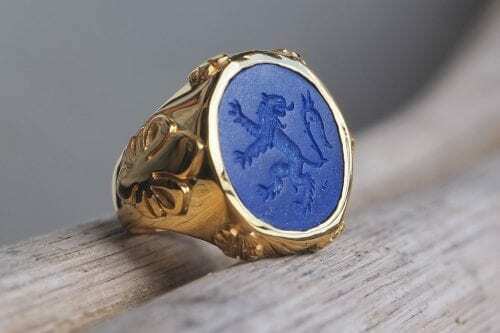 We crafted an oval of genuine lapis and overlaid a sterling silver Masonic device to create this stylish heraldic ring. The oval cut is 14 x 12 mm (9/16 x 1/2 inch). 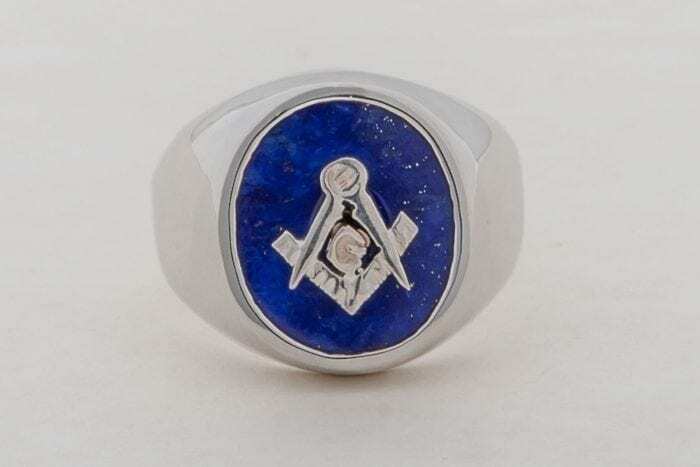 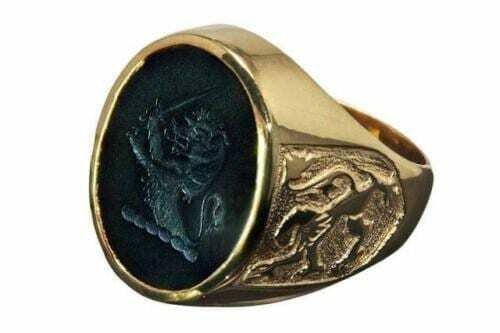 This is one of our smallest sized rings.